This is a practical package with cost efficiency in mind as well as elegance. 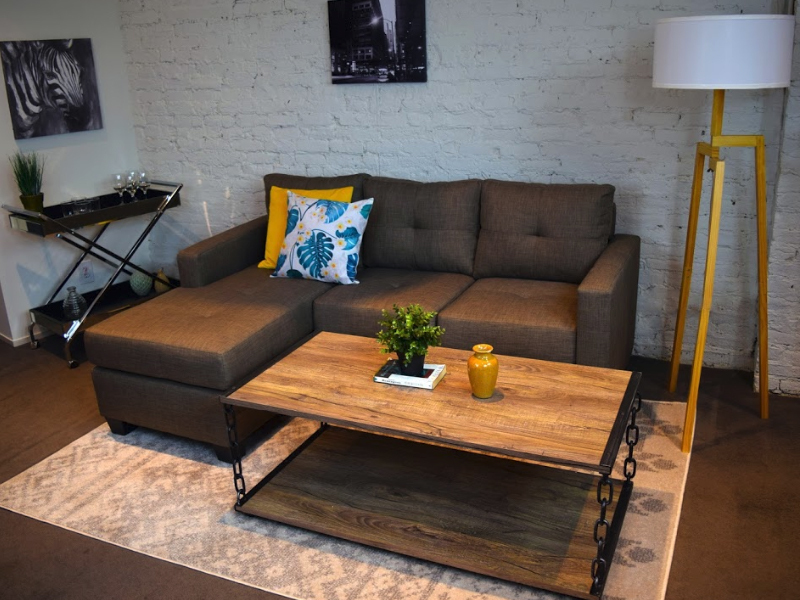 Specially suited for realtors who need a smaller space staged quickly and something that can make an impact. 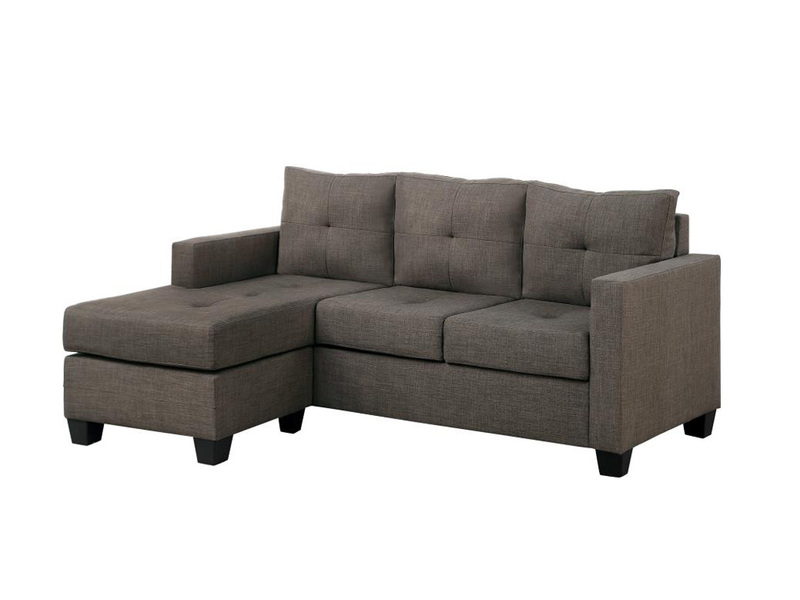 The package features our Lia Sectional, a lightweight sectional which adds maximum flexibility and comfort to any living room with the reversible chaise piece. 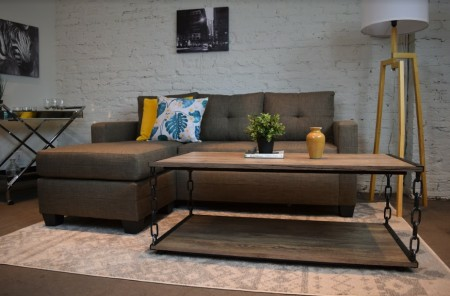 The warm taupe fabric will work great with any paint wall color and decorative pillows. Dare to go neon color or geometric patterns for a throw and area rug? 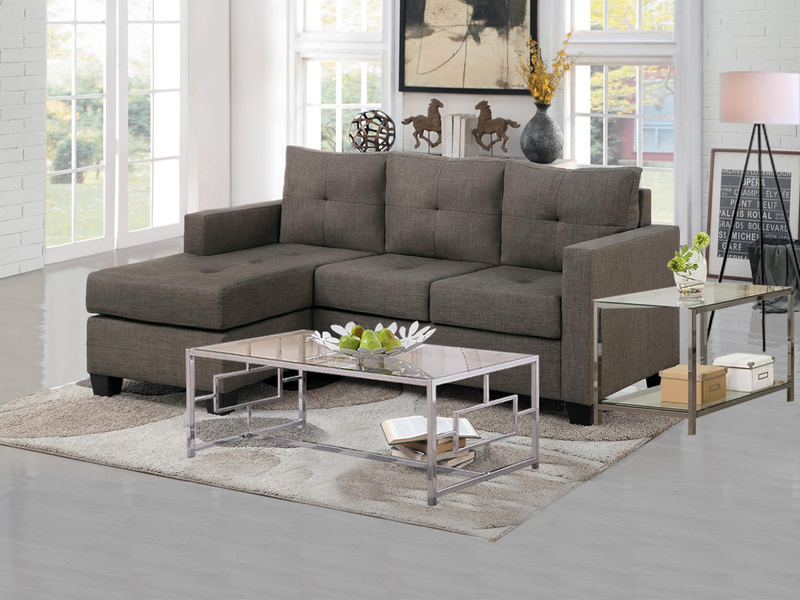 The Bliss Living Room set would look great with a more adventurous look. 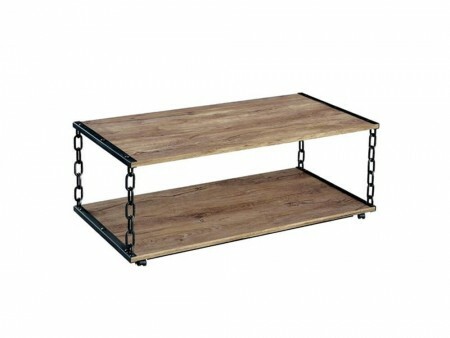 The Chain Coffee Table has small wheels for easy stowing. 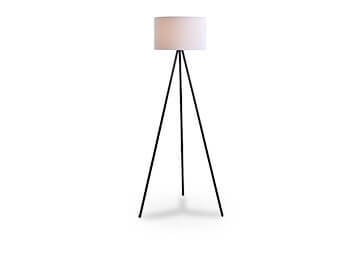 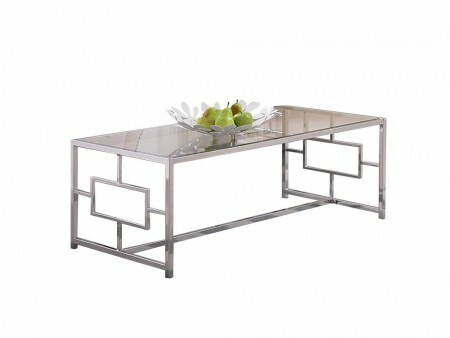 It is a great addition and looks great when paired with the Galleria End Table. 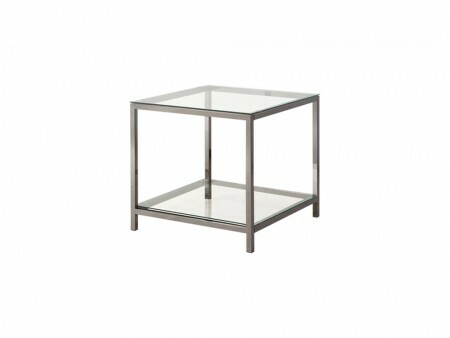 The Galleria End Table is a square metal table with glass top as well. The Wolf Lamp completes the look for this living room design. 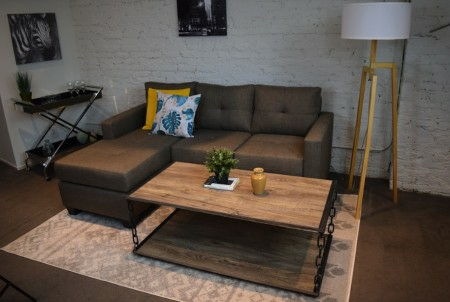 Rent the Bliss Living Room set today from Inhabitr.